Náutica is a hanging chair that pays homage to one of the first pieces created by Expormim in the 1970s. 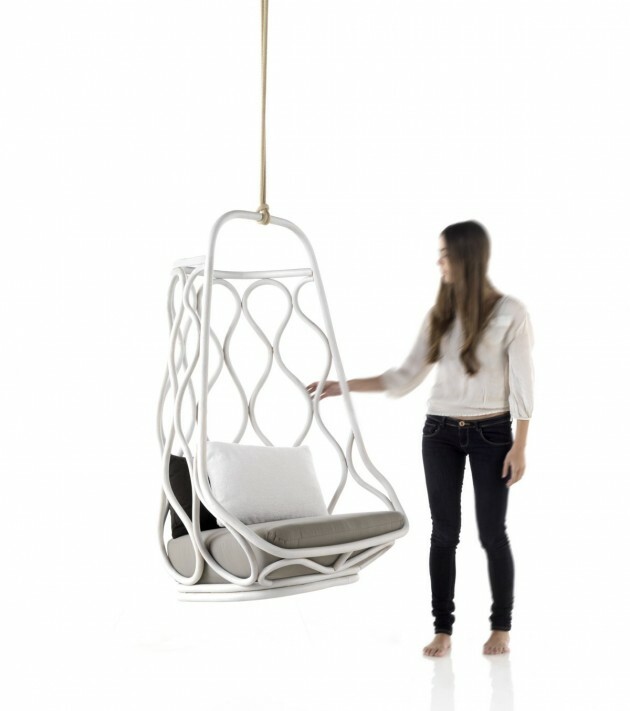 The swing, created by Mut Design, is intended to surprise. Like the previous piece, it hits the nail on the head in its return to and reinvention of the use of rattan. As it hangs from a tree branch, or from a free-standing structure, Náutica stands out for the subtle play of shadows it creates as it moves–shadows which suggest the play of sunlight on ocean waves. Despite its visual lightness, the piece is characterized by its strength and resistance. It is also adequate for any setting, whether interior or exterior; it is an invitation to have fun with its movement and its design. Visit the Expormim website – here.